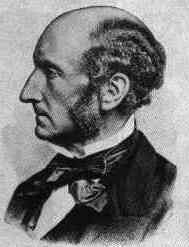 About the Author: John Stuart Mill (1806-73) is one of the foremost representative of utilitarian thought as well as one of the most influential of nineteenth century liberals. Influenced by Harriet Taylor (his wife), Mill developed a very humane version of utilitarianism that was sympathetic to women's rights, labor unions, proportional representation, and other liberal themes. His major works include On Liberty (1859), Principles of Political Economy (1848), Utilitarianism (1863), and his Autobiography (1873). About the Article: This speech was given before Parliament on April 21, 1868 in opposition to a bill banning capital punishment that had been proposed by Mr. Gilpin. As You Read, Consider This: In what respects does the English debate of 1868 seem similar to the debate about the death penalty in the United States in the 1990's? In what ways is it different? As a utilitarian, Mill is concerned primarily with the consequences of proposed courses of action. How does this concern manifest itself in this speech?
. . . It would be a great satisfaction to me if I were able to support this Motion. It is always a matter of regret to me to find myself, on a public question, opposed to those who are called - sometimes in the way of honour, and sometimes in what is intended for ridicule - the philanthropists. Of all persons whotake part in public affairs, they are those for whom, on the whole, I feel the greatest amount of respect; for their characteristic is, that they devote their time, their labour, and much of their money to objects purely public, with a less admixture of either personal or class selfishness, than any other class of politicians whatever. On almost all the great questions, scarcely any politicians are so steadily and almost uniformly to be found on the side of right; and they seldom err, but by an exaggerated application of some just and highly important principle. On the very subject that is now occupying us we all know what signal service they have rendered. It is through their efforts that our criminal laws - which within my memory hanged people for stealing in a dwelling house to the value of 40s.-laws by virtue of which rows of human beings might be seen suspended in front of Newgate by those who ascended or descended Ludgate Hill - have so greatly relaxed their most revolting and most impolitic ferocity, that aggravated murder is now practically the only crime which is punished with death by any of our lawful tribunals; and we are even now deliberating whether the extreme penalty should be retained in that solitary case. This vast gain, not only to humanity, but to the ends of penal justice, we owe to the philanthropists; and if they are mistaken, as I cannot but think they are, in the present instance, it is only in not perceiving the right time and place for stopping in a career hitherto so eminently beneficial. Sir, there is a point at which, I conceive, that career ought to stop. When there has been brought home to any one, by conclusive evidence, the greatest crime known to the law; and when the attendant circumstances suggest no palliation of the guilt, no hope that the culprit may even yet not be unworthy to live among mankind, nothing to make it probable that the crime was an exception to his general character rather than a consequence of it, then I confess it appears to me that to deprive the criminal of the life of which he has proved himself to be unworthy - solemnly to blot him out from the fellowship of mankind and from the catalogue of the living - is the most appropriate as it is certainly the most impressive, mode in which society can attach to so great a crime the penal consequences which for the security of life it is indispensable to annex to it. I defend this penalty, when confined to atrocious cases, on the very ground on which it iscommonly attacked - on that of humanity to the criminal; as beyond comparison the least cruel mode in which it is possible adequately to deter from the crime. If, in our horror of inflicting death, we endeavour to devise some punishment for the living criminal which shall act on the human mind with adeterrent force at all comparable to that of death, we are driven to inflictions less severe indeed in appearance, and therefore less efficacious, but far more cruel in reality. Few, I think, would venture to propose, as a punishment for aggravated murder, less than imprisonment with hard labor for life; that is the fate to which a murderer would be consigned by the mercy which shrinks from putting him to death. But has it been sufficiently considered what sort of a mercy this is, and what kind of life it leaves to him? If, indeed, the punishment is not really inflicted - if it becomes the sham which a few years ago such punishments were rapidly becoming - then, indeed, its adoption would be almost tantamount to giving up the attempt to repress murder altogether. But if it really is what it professes to be, and if it is realized in all its rigour by the popular imagination, as it very probably would not be, but as it must beif it is to be efficacious, it will be so shocking that when the memory of the crime is no longer fresh, there will be almost insuperable difficulty in executing it. What comparison can there really be, in point of severity, between consigning a man to the short pang of a rapid death, and immuring him in a living tomb, there to linger out what may be a long life in the hardest and most monotonous toil, without any of its alleviations or rewards - debarred from all pleasant sights and sounds, and cut off from all earthly hope, except a slight mitigation of bodily restraint, or a small improvement of diet? Yet even such a lot as this, because there is no one moment at which the suffering is of terrifying intensity, and, above all, because it does not contain the element, so imposing to the imagination, of the unknown, is universally reputed a milder punishment than death - stands in all codes as a mitigation of the capital penalty, and is thankfully accepted as such. For it is characteristic of all punishments which depend on duration for their efficacy - all, therefore, which are not corporal or pecuniary - that they are more rigorous than they seem; while it is, on the contrary, one of the strongest recommendations a punishment can have, that it should seem more rigorous than it is; for ist practical power depends far less on what it is than on what it seems. There is not, I should think, any human infliction which makes an impression on the imagination so entirely out of proportion to its real severity as the punishment of death. The punishment must be mild indeed which does not add more to the sum of human misery than is necessarily or directly added by the execution of a criminal. As my hon. Friend the Member for Northampton (Mr.Gilpin) has himself remarked, the most that human laws can do to anyone in the matter of death is to hasten it; the man would have died at any rate; not so very much later, and on the average, I fear, with a considerably greater amount of bodily suffering. Society is asked, then, to denude itself of an instrument of punishment which, in the grave cases to which alone it is suitable, effects its purposes at a less cost of human suffering than any other; which, while it inspires more terror, is less cruel in actual fact than any punishment that we should think of substituting for it. My hon. Friend says that it does not inspire terror, and that experience proves it to be a failure. But the influence of a punishment is not to be estimated by its effect on hardened criminals. Those whose habitual way of life keeps them, so to speak, at all times within sight of the gallows, do grow to care less about it; as, to compare good things with bad, an old soldier is not much affected by the chance of dying in battle. I can afford to admit all that isoften said about the indifference of professional criminals to the gallows. Though of that indifference one-third is probably bravado and another third confidence that they shall have the luck to escape, it is quite probable that the remaining third is real. But the efficacy of a punishment which acts principallythrough the imagination, is chiefly to be measured by the impression it makes on those who are still innocent; by the horror with which it surrounds the first promptings of guilt; the restraining influence it exercises over the beginning of the thought which, if indulged, would become a temptation; the checkwhich it exerts over the graded declension towards the state - never suddenly attained - in which crime no longer revolts, and punishment no longer terrifies. As for what is called the failure of death punishment, who is able to judge of that? We partly know who those are whom it has not deterred; but who is there who knows whom it has deterred, or how many human beings it has saved who would have lived to be murderers if that awful association had not been thrown round the idea of murder from their earliest infancy? Let us not forget that the most imposing fact loses its power over the imagination if it is made too cheap. When a punishment fit only for the most atrocious crimes is lavished on small offences until human feeling recoils from it, then, indeed, it ceases to intimidate, because it ceases to be believed in. The failure of capital punishment in cases of theft is easily accounted for; the thief did not believe that it would be inflicted. He had learnt by experience that jurors would perjure themselves rather than find him guilty; that Judges would seize any excuse for not sentencing him to death, or for recommending him to mercy; and that if neither jurors nor Judges were merciful, there were still hopes from an authority above both. When things had come to this pass it was high time to give up the vain attempt. When it is impossible to inflict a punishment, or when its infliction becomes a public scandal, the idle threat cannot too soon disappear from the statute book. And in the case of the host of offences which were formerly capital, I heartily rejoice that it did become impracticable to execute the law. If the same state of public feeling comes to exist in the case of murder; if the time comes when jurors refuse to find a murderer guilty; when Judges will not sentence him to death, or will recommend him to mercy; or when, if juries and Judges do not flinch from their duty, Home Secretaries, under pressure of deputations and memorials, shrink from theirs, and the threat becomes, as it became in the other cases, a mere brutum fulmen; then, indeed, it may become necessary to do in this case what has been done in those - to abrogate the penalty. That time may come - my hon. Friend thinks that it has nearly come. I hardly know whether he lamented it or boasted of it; but he and his Friends are entitled to the boast; for if it comes it will be their doing, and they will have gained what I cannot but call a fatal victory, for they will have achieved it by bringing about, if they will forgive me for saying so, an enervation, an effeminancy, in the general mind of the country. For what else than effeminancy is it to be so much more shocked by taking a man's life than by depriving him of all that makes life desirable or valuable? Is death, then, the greatest of all earthly ills? Usque adeone mori miserum est? Is it, indeed, so dreadful a thing to die? Has it not been from of old one chief part of a manly education to make us despise death - teaching us to account it, if an evil at all, by no means high in the list of evils; at all events, as an inevitable one, and to hold, as it were, our lives in our hands, ready to be given or risked at any moment, for a sufficiently worthy object? I am sure that my hon. Friends know all this as well, and have as much of all these feelings as any of the rest of us; possibly more. But I cannot think that this is likely to be the effect of their teaching on the general mind. I cannot think that the cultivating of a peculiar sensitiveness of conscience on this one point, over and above what results from the general cultivation of the moral sentiments, is permanently consistent with assigning in our own minds to the fact of death no more than the degree of relative importance which belongs to it among the other incidents of our humanity. The men of old cared too little about death, and gave their own lives or took those of others with equal recklessness. Our danger is of the opposite kind, lest we should be so much shocked by death, in general and in the abstract, as to care too much about it in individual cases, both those of other people and our own, which call for its being risked. And I am not putting things at the worst, for it is proved by the experience of other countries that horror of the executioner by no means necessarily implies horror of the assassin. The stronghold, as we all know, of hired assassination in the 18th century was Italy; yet it is said that in some of the Italian populations the infliction of death by sentence of law was in the highest degree offensive and revolting to popular feeling. Much has been said of the sanctity of human life, and the absurdity of supposing that we can teach respect for life by ourselves destroying it. But I am surprised at the employment of this argument, for it is one which might be brought against any punishment whatever. It is not human life only, not human life as such, that ought to be sacred to us, but human feelings. The human capacity of suffering is what we should cause to be respected, not the mere capacity of existing. And we may imagine somebody asking how we can teach people not to inflict suffering by ourselves inflicting it? But to this I should answer - all of us would answer - that to deter by suffering from inflicting suffering is not only possible, but the very purpose of penal justice. Does fining a criminal show want of respect for property, or imprisoning him, for personal freedom? Just asunreasonable is it to think that to take the life of a man who has taken that of another is to show want of regard for human life. We show, on the contrary, most emphatically our regard for it, by the adoption of a rule that he who violates that right in another forfeits it for himself, and that while no other crime that he can commit deprives him of his right to live, this shall. There is one argument against capital punishment, even in extreme cases, which I cannot deny to have weight - on which my hon. Friend justly laid great stress, and which never can be entirely got rid of. It is this - that if by an error of justice an innocent person is put to death, the mistake can never be corrected; all compensation, all reparation for the wrong is impossible. This would be indeed a serious objection if these miserable mistakes - among the most tragical occurrences in the whole round of human affairs - could not be made extremely rare. The argument is invincible where the mode of criminal procedure is dangerous to the innocent, or where the Courts of Justice are not trusted. And this probably is the reason why the objection to an irreparable punishment began (as I believe it did) earlier, and is more intense and more widely diffused, in some parts of the Continent of Europe than it is here. There are on the Continent great and enlightened countries, in which the criminal procedure is not so favorable to innocence, does not afford the same security against erroneous conviction, as it does among us; countries where the Courts of Justice seem to think they fail in their duty unless they find somebody guilty; and in their really laudable desire to hunt guilt from its hiding places, expose themselves to a serious danger of condemning the innocent. If our own procedure and Courts of Justice afforded ground for similar apprehension, I should be the first to join in withdrawing the power of inflicting irreparable punishment from such tribunals.But we all know that the defects of our procedure are the very opposite. Our rules of evidence are even too favorable to the prisoner; and juries and Judges carry out the maxim, "It is better that ten guilty should escape than that one innocent person should suffer," not only to the letter, but beyond the letter. Judges are most anxious to point out, and juries to allow for, the barest possibility of the prisoner's innocence. No human judgment is infallible; such sad cases as my hon. Friend cited will sometimes occur; but in so grave a case as that of murder, the accused, in our system, has always the benefit of the merest shadow of a doubt. And this suggests another consideration very germane to the question. The very fact that death punishment is more shocking than any other to the imagination, necessarily renders the Courts of Justice more scrupulous in requiring the fullest evidence of guilt. Even that which is the greatest objection to capital punishment, the impossibility of correcting an error once committed, must make, and does make, juries and Judges more careful in forming their opinion, and more jealous in their scrutiny of the evidence. If the substitution of penal servitude for death in cases of murder should cause any declaration in this conscientious scrupulosity, there would be a great evil to set against the real, but I hope rare, advantage of being able to make reparation to a condemned person who was afterwards discovered to be innocent. In order that the possibility of correction may be kept open wherever the chance of this sad contingency is more than infinitesimal, it is quite right that the Judge should recommend to the Crown a commutation of the sentence, not solely when the proof of guilt is open to the smallest suspicion, but whenever there remains anything unexplained and mysterious in the case, raising a desire for more light, or making it likely that further information may at some future time be obtained. I would also suggest that whenever the sentence is commuted the grounds of the commutation should, in some authentic form, be made known to the public. Thus much I willingly concede to my hon. Friend; but on the question of total abolition I am inclined to hope that the feeling of the country is not with him, and that the limitation of death punishment to the cases referred to in the Bill of last year will be generally considered sufficient. The mania which existed a short time ago for paring down all our punishments seems to have reached its limits, and not before it was time. We were in danger of being left without any effectual punishment, except for small of offences. What was formerly our chief secondary punishment - transportation - before it was abolished, had become almost a reward. Penal servitude, the substitute for it, was becoming, to the classes who were principally subject to it, almost nominal, so comfortable did we make our prisons, and so easy had it become to get quickly out of them. Flogging - a most objectionable punishment in ordinary cases, but a particularly appropriate one for crimes of brutality, especially crimes against women - we would not hear of, except, to be sure, in the case of garotters, for whose peculiar benefit we reestablished it in a hurry, immediately after a Member of Parliament had been garrotted. With this exception, offences, even of an atrocious kind, against the person, as my hon. and learned Friend the Member for Oxford (Mr.Neate) well remarked, not only were, but still are, visited with penalties so ludicrously inadequate, as to be almost an encouragement to the crime. I think, Sir, that in the case of most offences, except those against property, there is more need of strengthening our punishments than of weakening them; and that severer sentences, with an apportionment of them to the different kinds of offences which shall approve itself better than at present to the moral sentiments of the community, are the kind of reform of which our penal system now stands in need. I shall therefore vote against the Amendment. On what basis does Mill defend the use of the death penalty? In what types of cases should it be used? Mill states that a punishment "practical power depends far less on what it is than on what it seems." Explain what he means by this.What implications does this have for how we punish? Mill contrasts the death penalty and life imprisonment. What conclusions does he draw from this contrast? Do you agree with his conclusions? Mill seems to downplay the importance and terribleness of death. Obviously this has implications for our views on the death penalty, but what implications does it have on our views of "murder"? Discuss.